A Gathering of Secrets by Linda Castillo is a 2018 Minotaur Books publication. This latest installment in the Kate Burkholder series begins with a ghastly fire, deliberately set, which kills a young man everyone in the Amish community appeared to think very highly of. But, as Kate begins investigating the murder, she discovers the victim was not at all the type of person he appeared to be on the surface. But, getting anyone in the Amish community to speak up is like running right into a brick wall. However, the initial crime has had a domino effect, revealing a very dark side of the Amish community, along with more death and terrible heartbreak. This case is very hard on Kate from a moral and professional standpoint, as her own personal experiences bring back difficult memories. While the Amish community is always prominently featured in this series, this novel explores other ways in which the Amish tend to close ranks. Certain crimes are handled in a way that places the blame at the victim’s feet. As I bristled at this attitude, it occurred to me that sadly, the modern world’s attitude is not all that much different, in this regard, than that of the Amish. Those same exact thoughts permeate our society, as victims are often doubted, questioned, or blamed, accused of having brought it all on themselves in one way or another. This installment is dark, edgy, and very thought provoking. There are a couple of white-knuckle moments of suspense and some moments where Kate, and most likely the reader, as well, will question the exact letter of the law. But, for levity we have Tomasetti, Kate’s fiancé, on hand to keep things in perspective. I thought this was one of the strongest chapters in this series, so far. The personal and professional lines are well-drawn and balanced. Kate’s relationship with Tomasetti is at an all time high, which is so satisfying to me. There were so many cute and tender moments between the couple in this story, which helped to offset the serious nature of the crimes and the horrifying consequences that followed. Overall, fans of this series will not want to miss this latest installment and will be very happy with the quality of this story and Castillo’s incredible writing skill. Those who have not jumped aboard the Burkholder train, feel free to hop right on. You can easily follow this story, even if you have not read the previous installments. 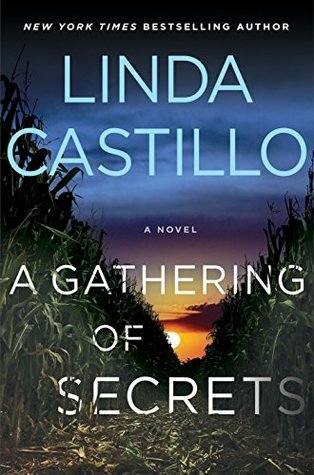 Linda Castillo is the New York Times and USA Today bestselling author of the Kate Burkholder mystery series, including Sworn to Silence which was adapted into a Lifetime Original Movie re-titled AN AMISH MURDER and starring Neve Campbell as Kate Burkholder. 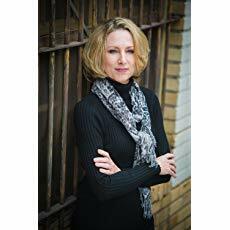 Castillo is the recipient of numerous industry awards, including a nomination by the International Thriller Writers for Best Hardcover Novel, the Daphne du Maurier Award of Excellence, and a nomination for the RITA. In addition to writing, Castillo's other passion is horses. She lives in Texas with her husband and is currently at work on her next novel.